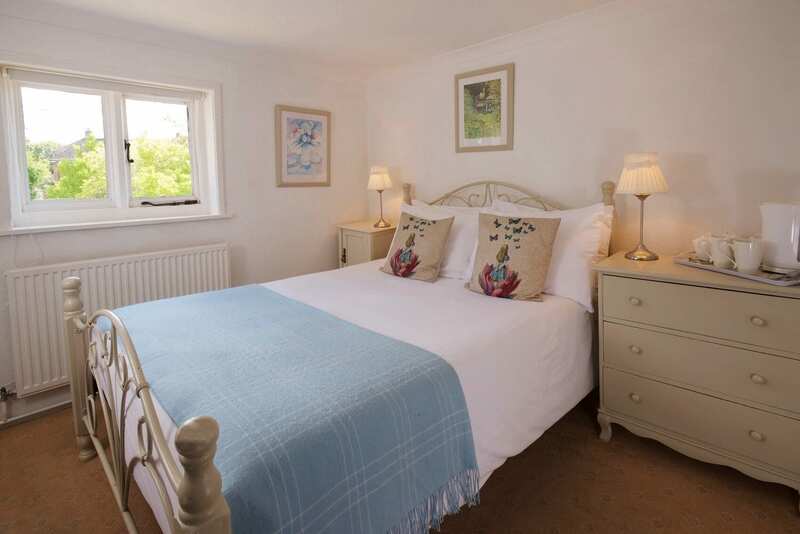 Discover this charming little double or single room, part of the original 1650s cottage. 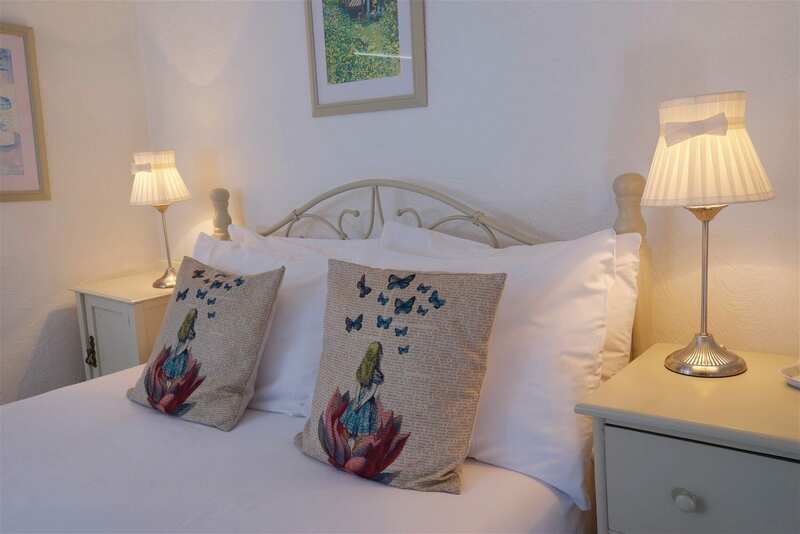 Relax in this small but delightful room, which is perfect for a couple or for single occupancy. 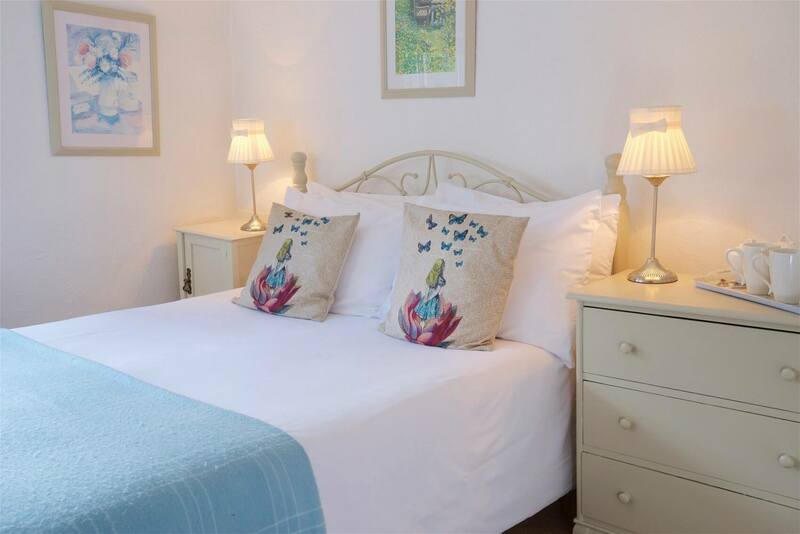 We hope the room’s charm and quality interior-sprung mattress makes up for lack of headroom for taller guests. People were small in the 1650s so the bedroom ceiling height is 6ft 4-inches but becomes tighter in the en-suite. When you step up into the shower the headroom is 6ft. Sorry, we can’t make it any higher. 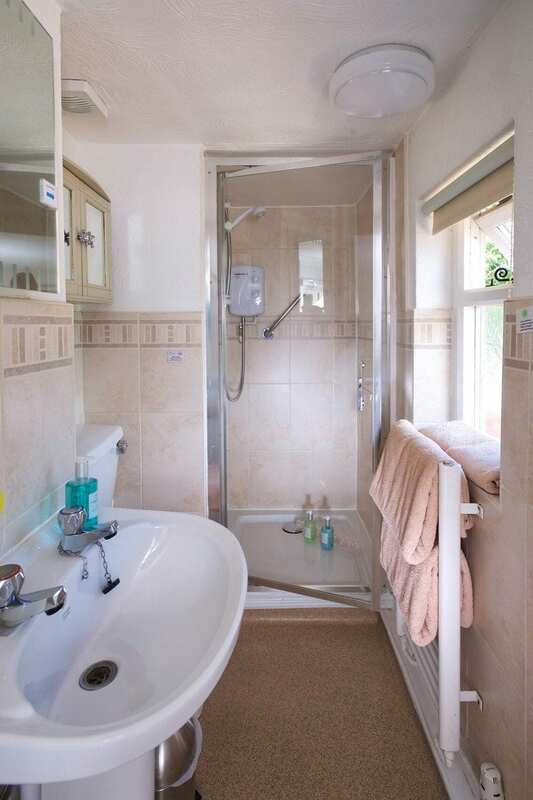 The fresh en-suite bathroom has a small shower (6-ft ceiling height) with non-slip mat, toilet and towel rail; plus plenty of bath towels; and Gilchrist & Soames shampoo, conditioner, soap and hand lotion. Flowers are available from £45 in your room on arrival. 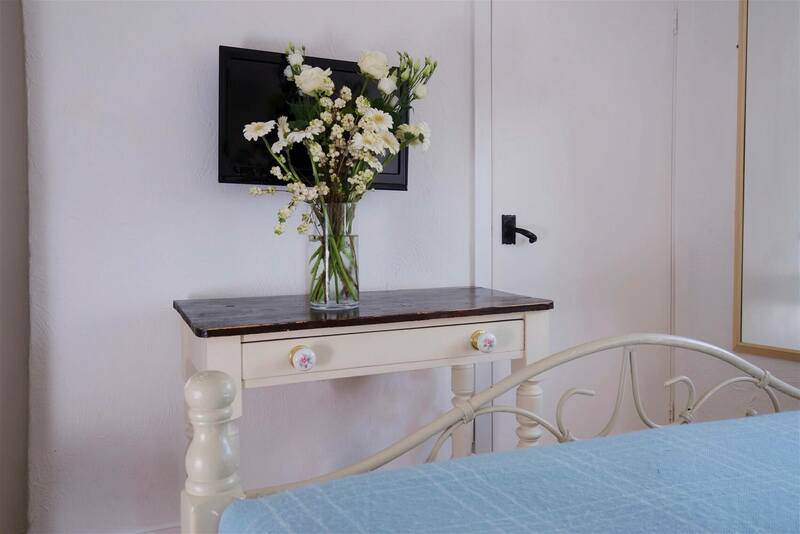 Find your first floor en suite small double or single room a few steps up a short, slightly narrow staircase in the oldest part of the hotel. It looks towards the front of the hotel where you may see Forest animals. Little Alice is named after Alice Liddell who was the inspiration for Lewis Caroll’s Alice in Wonderland books. Her grave can be found in St Michael and All Angel’s church yard, Lyndhurst.